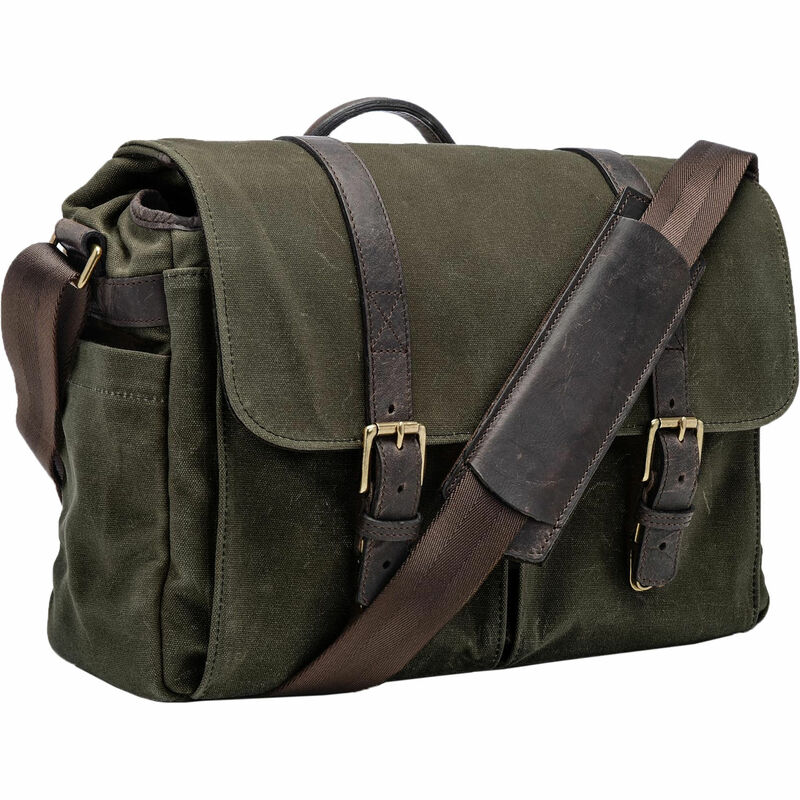 The olive Brixton Camera/Laptop Messenger Bag from ONA is designed to hold your DSLR with three lenses, a 13" laptop, and accessories. In addition, there's a rear open slip-pocket that's large enough for a 10" tablet. There are four movable interior dividers to configure the bag to accommodate your gear. Dual front accessory pockets hold small, quick-access items such as lens caps, batteries, and a smartphone. The Brixton is made from durable Italian-tanned leather, plus water-resistant waxed canvas, and has a closed-cell foam padded interior to protect your gear. For further protection, there are side weather flaps attached to the front flap to provide full closure when the bag is secured. Full-grain leather belts secure the front flap to two tuck-clasp buckles, which are made from antique brass. The Brixton can be easily carried using the adjustable 54" shoulder strap, which features a shoulder pad for added comfort. A top grab handle is there for when you need to pick the bag up or carry it by hand.